So I’m back blogging this morning after recovery from a kidney stone attack last week. I’ve never had one before and had no idea what was happening at the time. A week ago today I started to feel some cramping in my abdomen and drank a few glasses of water. Shortly after that I felt a huge pain in my right kidney and thought I was going to get sick. I crawled my way to the bathroom and tried to stay calm because for a moment I felt like I might pass out. I was home alone with the kids so I knew I needed to act quickly. I had my phone but my fingers locked and I couldn’t bend them so I could barely dial. I have since found out that the reason for this is hyperventilation. I guess the pain was so intense that I was breathing super quickly which caused my muscles to cramp. This really scared me and for a moment I thought maybe I was having a seizure. I managed to dial my husband’s phone number first. I told him I needed him to come home immediately. Then we got disconnected. I dialed my sister next. I could barely speak but was able to blurt out my kidney hurts…I need you…I don’t know what to do. I hesitated to call 911 myself. But when I couldn’t get up and I heard Ashton waking from his nap I knew this had to be bad. I dialed the numbers 9-1-1 and the dispatcher told me someone was already on the way. My husband had also called 911, borrowed a co-workers car and calmly and quickly came home. My sister called other family members and arrived at my house in a matter of minutes. 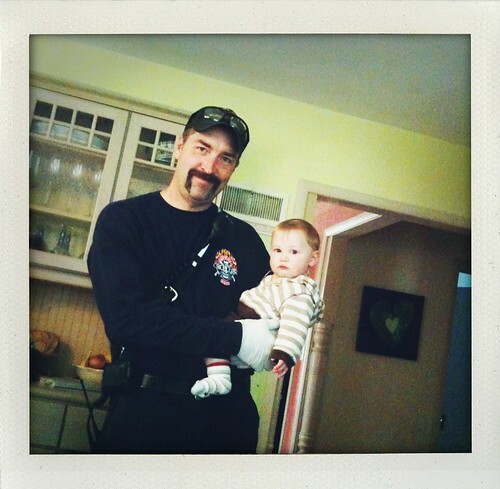 I never would have guessed that a kind fireman with a Fu Manchu would be getting my baby out of bed from his morning nap! Once the help arrived I guess I must have started to calm down because my fingers were less cramped and I could walk and talk – although the pain was still very intense. After a morning at the ER I discovered that I had a 3.5 mm kidney stone. I was told there’s a 95% chance that a stone this size will pass on its own. They gave me a prescription for pain meds, some antibiotics and told me to stop nursing for 4 days. Since then, here’s what I’ve learned. CT scans are so high in radiation that it’s like getting 500 X-rays at once! I definitely would not have had one had I been informed. I followed the lead of the emergency room doctor and although I know these scans are an important tool for modern medicine, not so sure it was necessary for my situation. I learned that ER doctors don’t always have the answers and it’s really important to get educated and take your health into your own hands. Kidney stone pain definitely competes with the pain I’ve experienced in labor, but what was even more painful to me was having to give up nursing my sweet babe for 4 days. 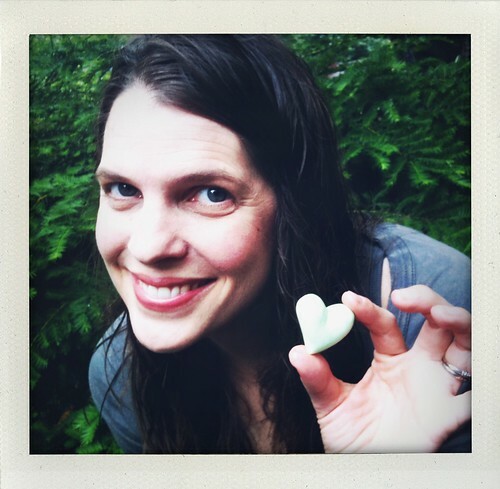 I got some wonderful advice from a friend and lactation consultant, as well as my nurse midwife, and found an antibiotic that is safe while nursing. So extremely grateful for this because I tried giving Ashy a bottle the first night and it was miserable! I’ve learned that eating high oxalate foods can cause kidney stones. 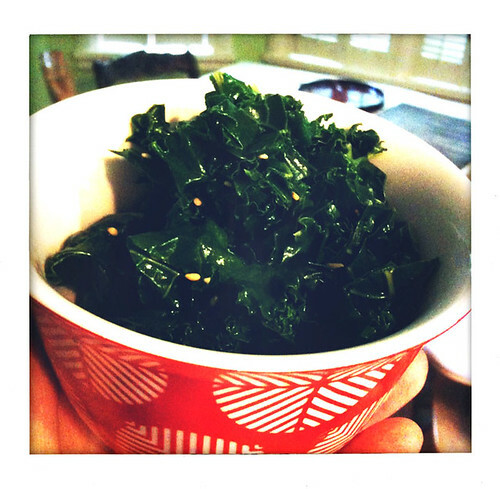 These are foods like kale, spinach, blueberries, chocolate and beans – pretty much all of my favorite foods! I seriously eat kale at least once, sometimes twice a day, and I now think that may have been a major contributing factor in creating my particular stone. I’ve learned that dandelion tea helps the kidneys, cranberry juice can help prevent bladder infections and of course, nothing beats lots and lots of water (lemon is helpful, too). I’ve learned that there are holistic, less invasive ways to dissolve some kidney stones, like Attunement, Reiki, and many other options. I’ve learned that the spiritual symbolism of kidney stones can be unresolved anger (think of things that “piss you off”) or a distrust in the flow of life, or a need to let go of the past. I received so much conflicting information from the ER doc, the urologist, the holistic healer, Google, community forums and if I let it, all that external overload could make me feel crazy, confused and overwhelmed. Instead, I decided to get quiet and listen to the messages my body is trying to tell me. My kidney stone has reminded me to stop trying to do it all myself, to lighten my load, to get more rest, to drink more water and to trust the flow of life. Our body knows. Our heart knows. We just need to listen. And no matter what, the answers to our healing lie within. Your Personal Reflection: What is your body trying to tell you? Can you hear the messages in your heart? Give yourself a few minutes of quiet time today and really, deeply listen. *My heart is overflowing with gratitude for my health, for my family and friends, and for the doctors who helped me out this week.